Our Multi-Functional Handcuffs Shackles that we offer are designed specially to exceed the level of expectations of our clients. They are versatile, durable, and tough. 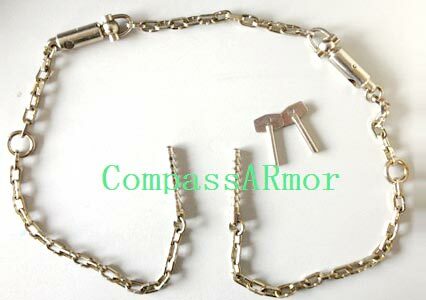 They are made of high-quality carbon steel, in compliance with the standards. They feature a sleek, strong chain that is finished to perfection. We are emerging as the promising Manufacturer, Exporter, and Supplier of Carbon Steel Steel Handcuffs (Psh-w03) from China.